St. Louis Cardinals pitcher Alex Reyes is expected to miss the entire 2017 season after undergoing Tommy John surgery Thursday. The procedure was necessary after an MRI showed the former Peoria Chiefs hurler had a complete tear of the ulnar collateral ligament in his right elbow. Reyes is considered one of baseball’s top prospects. Baseball America has him ranked No. 4 overall, behind Boston Red Sox outfield prospect Andrew Benintendi, Chicago White Sox infield prospect Yoan Moncada, and Atlanta Braves shortstop prospect Dansby Swanson. 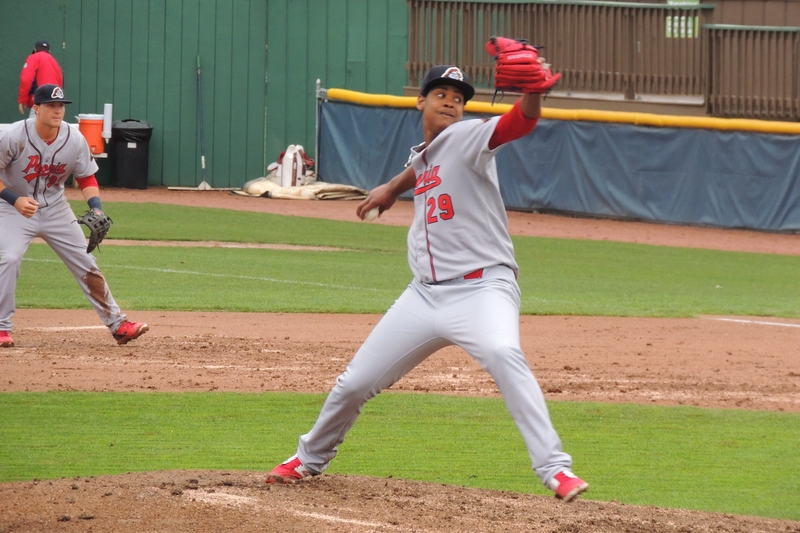 Reyes pitched for the Chiefs in 2014, going 7-7 with a 3.63 ERA, 137 strikeouts and 61 walks in 109 innings (21 starts). He made his major-league debut last year and went 4-1 with a 1.57 ERA, 52 strikeouts and 23 walks in 46 MLB innings (12 games/five starts).